Japan's government on Saturday lifted a 4½-year-old evacuation order for the northeastern town of Naraha that had sent all of the town's 7,400 residents away following the disaster at the nearby Fukushima nuclear plant. Japan's government on Saturday lifted a 4 ½-year-old evacuation order for the northeastern town of Naraha that had sent all of the town's 7,400 residents away following the disaster at the nearby Fukushima nuclear plant. Naraha became the first to get the order lifted among seven municipalities forced to empty entirely due to radiation contamination following the massive earthquake and tsunami that sent the plant's reactors into triple meltdowns in March 2011. The central government has said radiation levels in Naraha have fallen to levels deemed safe following decontamination efforts. According to a government survey, however, 53 per cent of the evacuees from Naraha, which is 20 kilometres south of the nuclear plant, say they're either not ready to return home permanently or are undecided. Some say they've found jobs elsewhere over the past few years, while others cite radiation concerns. Naraha represents a test case, as most residents remain cautious amid lingering health concerns and a lack of infrastructure. In the once-abandoned town, a segment of a national railway is still out of service, with the tracks covered with grass. Some houses are falling down and wild boars roam around at night. Only about 100 of the nearly 2,600 households have returned since a trial period began in April. Last year, the government lifted evacuation orders for parts of two nearby towns, but only about half of their former residents have returned. 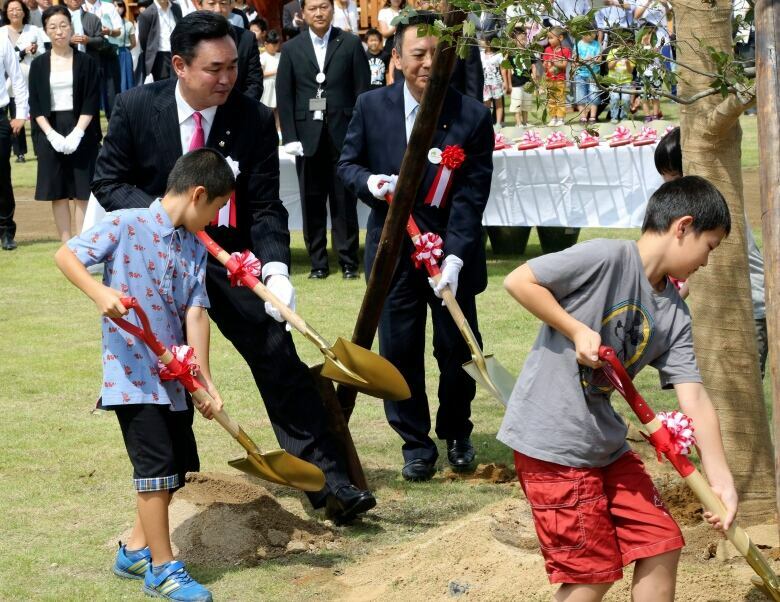 Naraha Mayor Yukiei Matsumoto said that Saturday marked an important milestone. "Our clock started moving again," he said during a ceremony held at a children's park. "The lifting of the evacuation order is one key step, but this is just a start." Matsumoto said he hoped Naraha could set a good example of a recovering town for the other affected municipalities. About 100,000 people from about 10 municipalities around the wrecked plant still cannot go home. The government hopes to lift all evacuation orders except for the most contaminated areas closest to the plant by March 2017 — a plan many evacuees criticize as an attempt to showcase Fukushima's recovery ahead of the 2020 Tokyo Summer Olympics. Matsumoto said that fear of radiation and nuclear safety was still present, and that Naraha had a long way to go in its recovery. The town will be without a medical clinic until October, while a new prefectural hospital won't be ready until February. A grocery store started free delivery services in July, and a shopping centre will open next year. Still, many residents, especially those who don't drive, face limited options for their daily necessities. Residents have been given personal dosimeters to check their own radiation levels. To accommodate their concerns, the town is also running 24-hour monitoring at a water filtration plant, testing tap water for radioactive materials. 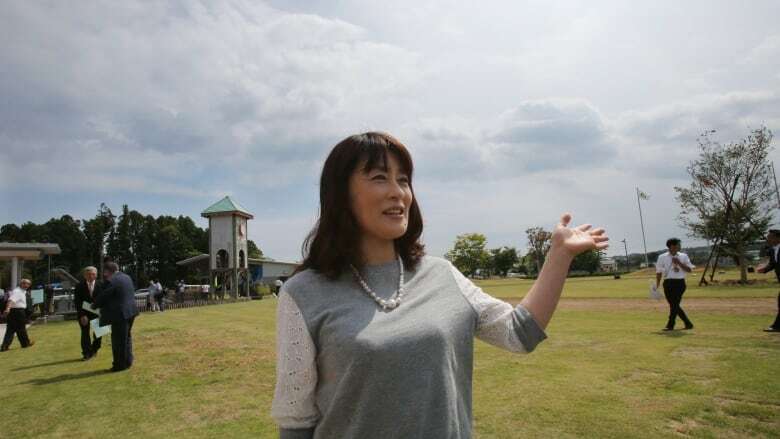 Toshiko Yokota, a 53-year-old homemaker who had to leave her Naraha house after the disaster, said Saturday that she came back to attend the ceremony and clean her home, and that she eventually wants to move back with her husband. Their house was damaged by rats, bugs and rainwater leaks in their absence, and still needs to be fully renovated, but she hopes to return in a few years. "My friends are all in different places because of the nuclear accident, and the town doesn't even look the same, but this is still my hometown and it really feels good to be back," said Yokota, who currently lives in another town in Fukushima prefecture. "I still feel uneasy about some things, like radiation levels and the lack of a medical facility," she said. "In order to come back, I have to keep up my hope and stay healthy."